Today, the May Day New York Coalition stood as one voice to advocate for stronger legislation in Congress to protect the rights of workers and immigrants alike. “Laborers and immigrants are an essential part of our country’s past, present and future, and nowhere is that more apparent than New York City. The Council is committed to protecting and helping immigrants today as we celebrate May Day, and most importantly, every day. Our support is unwavering, and will remain steadfast despite attacks on these essential members of our community – our friends, neighbors and family members – in these trying times. Anything less is un-American,” said New York City Council Speaker Corey Johnson. 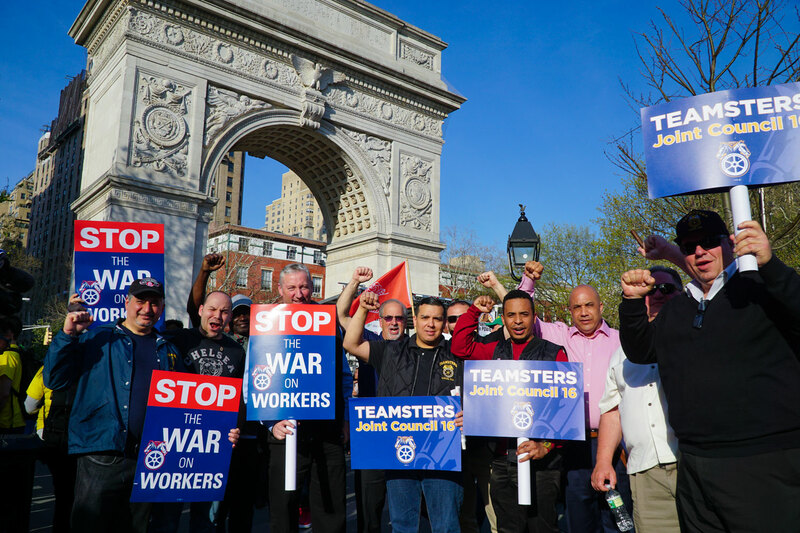 “On May Day, the City stands united with workers and immigrants across the five boroughs, including the 3,000 Honduran New Yorkers with TPS who are fighting today to remain in their homes. Honduran TPS recipients have been hardworking members of this nation’s economy for two decades. These New Yorkers have U.S. citizen children, own homes, and have deep roots in the five boroughs. If the Trump Administration revokes Honduran TPS, parents will be separated from their children and forced to return to unsafe conditions. We urge Secretary Nielsen not to turn her back on immigrant workers and families,” said Bitta Mostofi, Acting Commissioner of the Mayor’s Office of Immigrant Affairs. “The abuses that sparked the first May Day are still alive today. 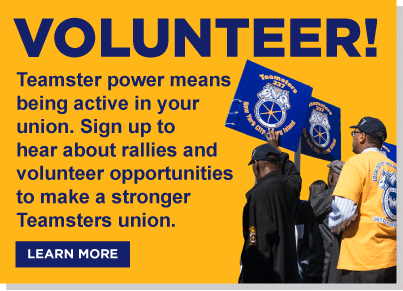 Unions are still fighting for every worker to have a fair day’s pay for a fair day’s work. Too many workers — especially immigrant workers — are patching together part-time jobs, working grueling hours at Amazon warehouses, fast food restaurants, or app companies. 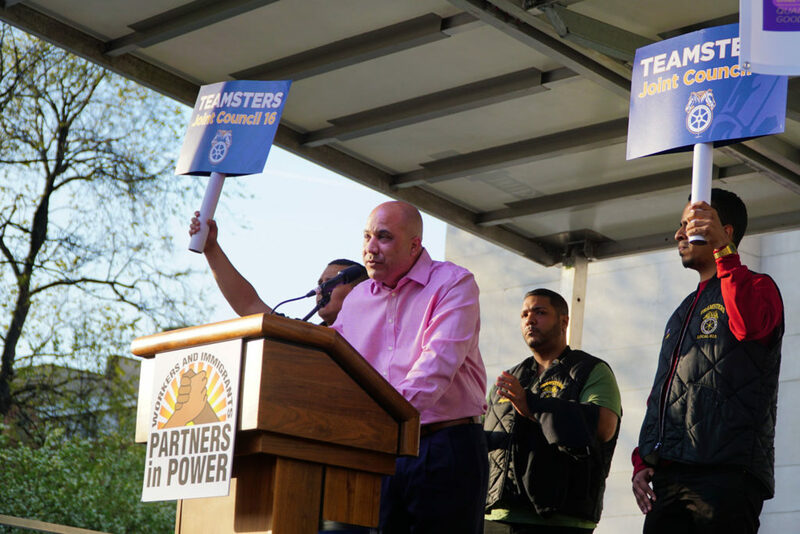 The labor and immigrant rights movements are coming together today to stand up for all workers and fight back,” said George Miranda, President, Teamsters Joint Council 16. Co-sponsors include: African Communities Together, ALIGN, AAANY, CSEA 1000, CWA Local 1180, Democratic Socialists of America NYC Chapter, Democratic Socialists of America Hudson Valley Chapter, Faith in New York, Food and Water Watch, Greater NY Labor-Religion Coalition, International Socialists, JFREJ, LatinoJustice PRLDEF, Local 338, RWDSU/UFCW, Metro New York A. Philip Randolph Institute, MinKwon, National Writers Union, NICE, NYC CLC, NYC LCLAA, NYCLU, NYSNA, People’s Climate Movement – New York, PSC, Sierra Club, Street Vendors Project, US Labor Against the War, UWUA Local 1-2, Workers United Laundry, Dry-Cleaning JB, Workers United Metropolitan Area Joint Board, Workmen’s Circle, and Working Families Party.